This Little Piggy . . . Came To Jackson Farm! Welcome to two-year-old Mamie, the newest member of Cooperative for Human Services’ small animal therapy team, based at Jackson Farm. Along with Rambo the rabbit and our three new baby guinea piglets, April, May and June, Mamie is a one-of-a-kind Vietnamese pot bellied pig. She epitomizes the values of CHS — a gentle, friendly being who is working to achieve a fulfilling and inspiring life that encompasses community and healthy lifestyle. As a baby, Mamie was shipped from her breeders in Texas to live with a family in Franklin, MA. Unfortunately, her owners did not know how to care for a pot bellied pig, so she was not given outdoor space to exercise, root, or wallow, and was fed doughnuts, cookies, and fast food. At 200 pounds, her owners could no longer keep her, so they brought her to the MSPCA’s Nevins Farm in September 2018 to wait for a new, forever home. This is where CHS stepped in. On Tuesday, January 22, 2019, CHS farm staff brought Mamie to her new home https://www.boston.com/news/animals/2019/01/24/amy-pig-mspca-adopted in a cozy, pig-outfitted stall in the big barn at Jackson Farm. She bravely withstood single-digit temperatures on her very first weekend with us, burrowed under the hay inside a tent of blankets that we added for extra insulation. On Friday the sun finally shone and our Mamie ventured out of the barn to explore her new home. She wandered over to the goats and hens, snorting and sniffling, comfortably spending time with the other animals. She lingered in the field, seeming to delight in the warmth of the sunshine. Mamie and all of us at CHS have some work to do to help this special pig: She came to us 80 pounds overweight. The extra fat makes it hard for her to move, makes her depressed and lethargic, taxes her organs, joints, and systems, and obstructs her vision. We have committed to supporting her to address her special needs, with appropriate food, plenty of outdoor space to root, wallow, and roam, and daily piggy aerobics with farm staff or any residents or guests who come by and want to participate. The barn door is open all day and she has the entire field to roam in; hens, goats, bunnies, guinea pigs, staff, residents, and guests to visit; and a warm stall to return to at night. The more she can exercise, the sooner her health will improve. The more company, the happier our friendly pig will be. Soon she’ll be able to enjoy a healthy pig lifestyle, and will add so much to our animal therapy program. We intend to walk with her to help her regain her health, to scratch her behind the ears, or to toss a ball back and forth with her. She’ll reward you with a wagging tail, a shiver of excitement, rolling over so you can rub her belly, and the affection and attention that make Vietnamese pot bellied pigs such good pets, loyal friends, and well-trained therapy animals. Cooperative for Human Services continues to provide services and supports to an ever-increasing number of individuals in their homes and CHS residential programs. In November 2017, the organization established a Food Pantry to provide people served with no-cost food so that everyone has access to good nutrition and healthy options. Recently, the organization expanded its partnership with the Food Donation Connection, a national non-profit matching company, and began to work directly with two well-known hospitality destinations, The Cheesecake Factory and Chipotle Restaurants, Burlington, MA. These partnerships increase the company’s ability to offer pre-cooked food and dinner entrees to individuals who may have poor cooking skills or are attempting to successfully manage a meager food budget. 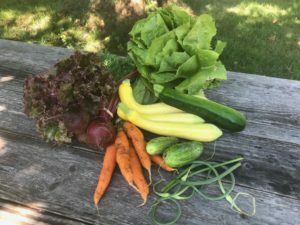 The Food Pantry continued to expand its food distribution this summer when the organization doubled the size and capacity of its organic vegetable gardens. 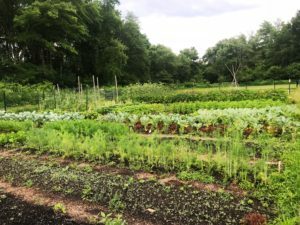 The company’s urban garden plot in Malden, MA also yielded a larger variety of vegetables that were distributed through the Food Pantry. In both locations, individuals learned about growing, nurturing and harvesting fresh produce as well as how to incorporate fresh vegetables as part of their daily food intake. Several long-standing CHS cooking groups benefited from the Food Pantry and the garden-fresh produce. Participants eagerly awaited vegetable deliveries which then influenced menu choices for what was to be prepared for that evening. People not only prepared the food, but also communed over good food and transported food home for another meal later in the week. Through the Food Pantry, individuals have an opportunity to be introduced to new dining experiences that are often times outside the scope of their normal weekly food budgets. Roasted duck, goose pate, chutney, organic yogurt and brie cheese are just a few examples. Food security — having access to enough food for an active, healthy life, is one of the many important components that Cooperative For Human Services provides through its Food Pantry, expanded business partnerships and organic farming sites. two-bathroom house applies all the best practices in assessable design to accommodate people with assistive medical devices such as wheelchairs, walkers and mechanical lifts. 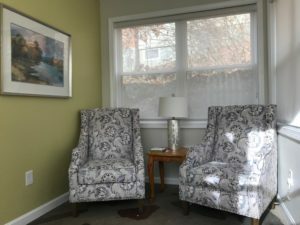 The home’s layout includes a solarium where individuals can visit with guests or just enjoy a quiet space for reading and a self-serve coffee/tea bar in the kitchen area. process that varies in length and complexity based on each individual’s unique needs. family members help to determine when and how the individuals will transition into the community. relationships and the foundation to friendships. celebrated the Boston Red Sox 2018 World Series Championship! 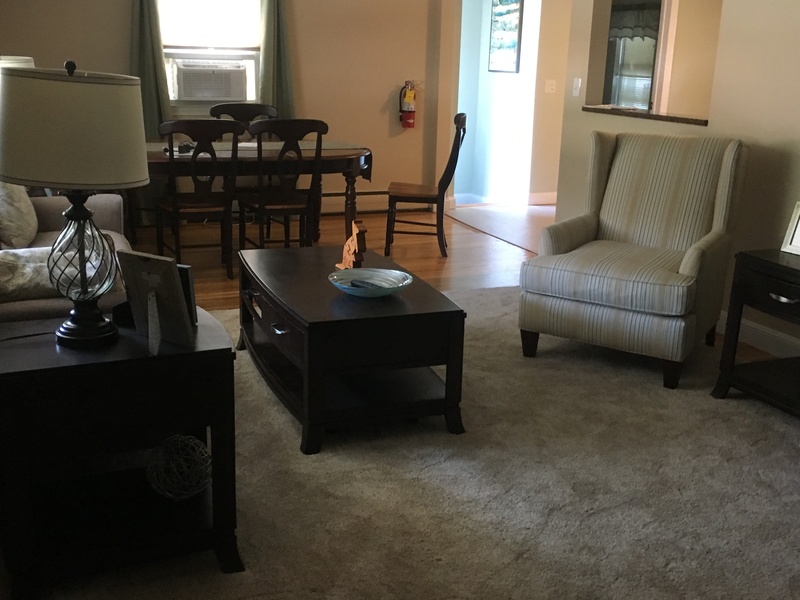 Three young women with developmental disabilities moved into their new home located in Saugus, MA, bringing with them high energy and a keen interest to explore their new community. 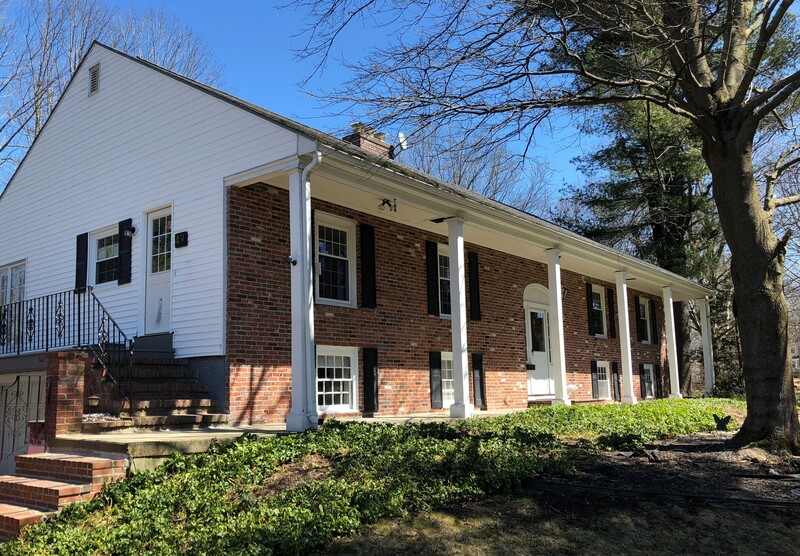 The residential program offering support on a 24-hour basis is one of only a very few that have opened in recent years in eastern Massachusetts. Cooperative For Human Services continually uses a creative problem-solving approach to design services for people with disabilities and housing is a critical component of these services. The four-bedroom home is located in an upscale residential neighborhood near parks, shopping, entertainment and civic venues that serve as a springboard for individuals to connect to their new community. 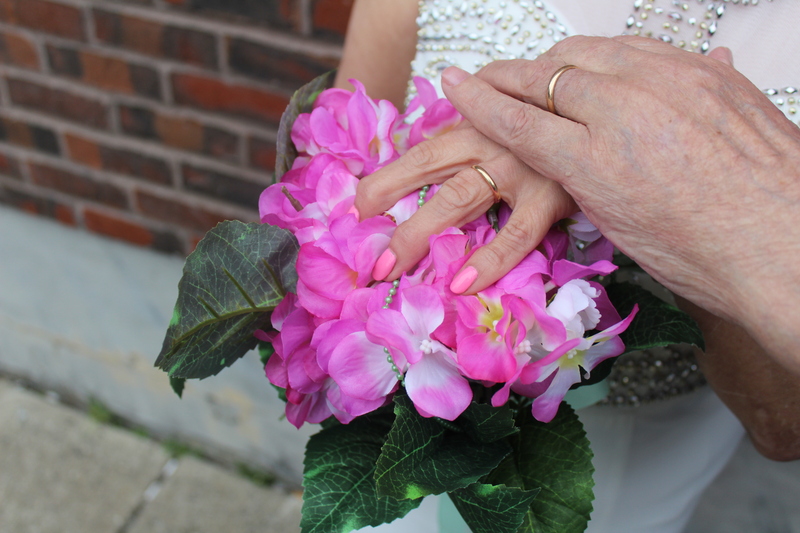 The women are supported by a veteran team of clinicians, healthcare professionals and direct support staff who are focused on their need for social inclusion. Staff assist the individuals to create personalized goals and programs that help each woman explore and participate in activities of their interest in the local area. 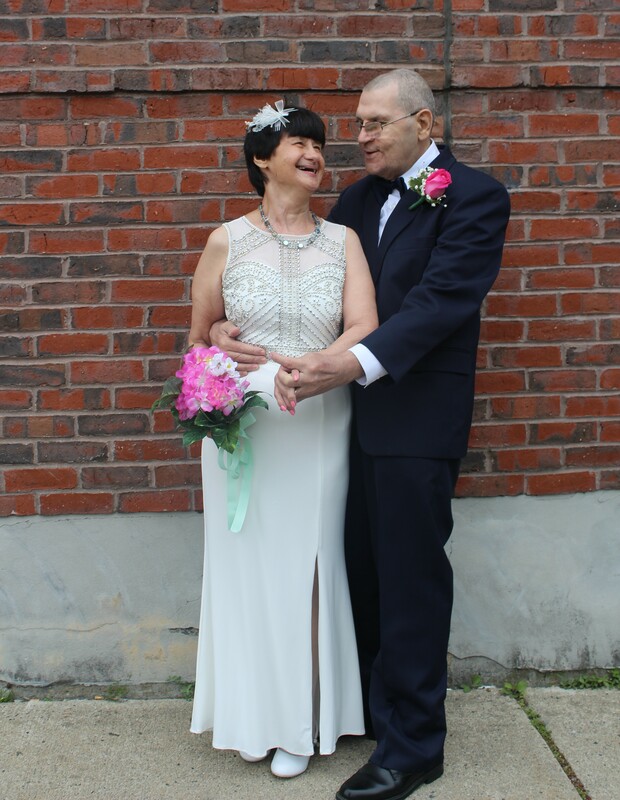 Staff and the individuals hosted a barbecue for family and friends in their spacious backyard the day after moving in to acknowledge their more independent lifestyle and to also celebrate their birthdays (which all happen to occur in the same month!). Family members were especially pleased that the women live in a beautiful, newly renovated home with many places for gathering as well as private spaces for quiet conversation. Later this fall a fourth individual will join the household and receive supports as she transitions into her new home. Cooperative for Human Services closely follows its twelfth Guiding Principle, “Work in partnership with others to maximize resources and alleviate duplication of effort” by continually seeking out new technologies to achieve its goals. Currently, the company serves as Representative Payee for over 150 individuals in its Residential, Individual Support Services and Guardianship programs. This requires CHS to manage, monitor, and document by hand, all spending of each individual’s monthly Social Security funds, other income and monetary gifts. Historically, this financial process had been a de-centralized process monitored by field managers responsible for oversight of individual funds through direct access to the person’s bank account. On a regular basis, managers accessed and distributed spending funds to each individual, reconciled receipts and provided education to the individuals served about positive budgeting skills. After researching new developments in the financial management field, Glen Charney*, Chief Financial Officer, identified the PEX card system as a way to consolidate and centralize funds management in the CHS main office, while reducing cash on-hand and alleviate processing of paper receipts in the field. With the PEX system, record keeping transitioned to the main office, managers no longer physically visited banks to act as signers for individual’s bank accounts, and the process saved significant time. The new system empowered individuals to manage their personal finances more independently, while also providing a higher level of security and accountability for funds. 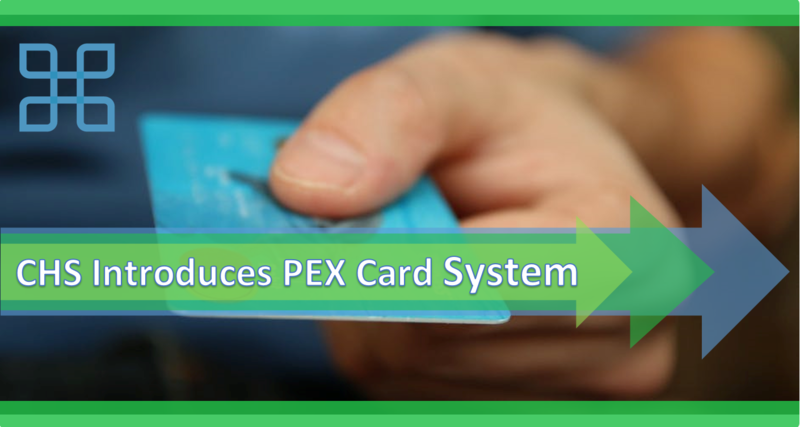 The PEX card system looks and works like a credit card. It allows CHS to fund a card for each individual on a weekly basis based on their unique financial goals. The card is reset each week to the maximum allocation and if an individual wishes to make a larger, one-time purchase for items such as clothing or furniture, the amount can be increased above the individuals’ weekly spending maximum. This flexibility feature was especially important for ease of use. The card can be used anywhere credit cards are accepted and removes the need to retain large amounts of cash-on-hand in people’s homes where it can be subject to loss. Since credit cards are more prominently used in the community than cash, this also helps individuals prepare to live in a cashless society. For those situations where credit cards are not accepted, managers request cash for the special purchase or event. Weekly receipts for each card are automatically generated by PEX and using those records, the CHS Finance Department pays the monthly PEX bill from each person’s fund. The company can more efficiently monitor spending for individuals and provide feedback on financial trends to the managers. There are additional controls included in the system such as the ability to restrict the amount spent at one particular store, if needed, to ensure that funds are spent appropriately and to support the individual’s success in learning money management skills. The PEX card system has been in use in the Residential Services programs since January and will be implemented in the Individual Supports Services and Guardianship Programs later this year. To date, the program has greatly streamlined the process for funding individuals served, and has also significantly improved record keeping. Shifting the financial responsibilities from field managers to the Finance Department has allowed the managers more time to meet the needs of the people served rather than divert attention to the administrative function. It is a win-win situation for everyone. *Content contributed by Glen Charney, Chief Financial Officer, Cooperative for Human Services, Inc. Cooperative For Human Services announced that it received renewal of its two-year License and Certification from the Massachusetts Department of Developmental Services (DDS), Office of Quality Enhancement. The company met 100% of the required licensing indicators and 98% of the certification indicators, which continues the organization’s legacy of achieving consecutive, outstanding ratings for over a decade. At the conclusion of the DDS Service Enhancement Meeting which serves as a recap of the quality enhancement process with CHS staff, Steve Goldberg, QE Team Leader, summarized his findings on a personal note by stating that he found a “very positive vibe in the company and more importantly, that the people served are happy.” His team members unanimously agreed. The complete report is available at mass.gov/dds. Happy Father’s Day from CHS! 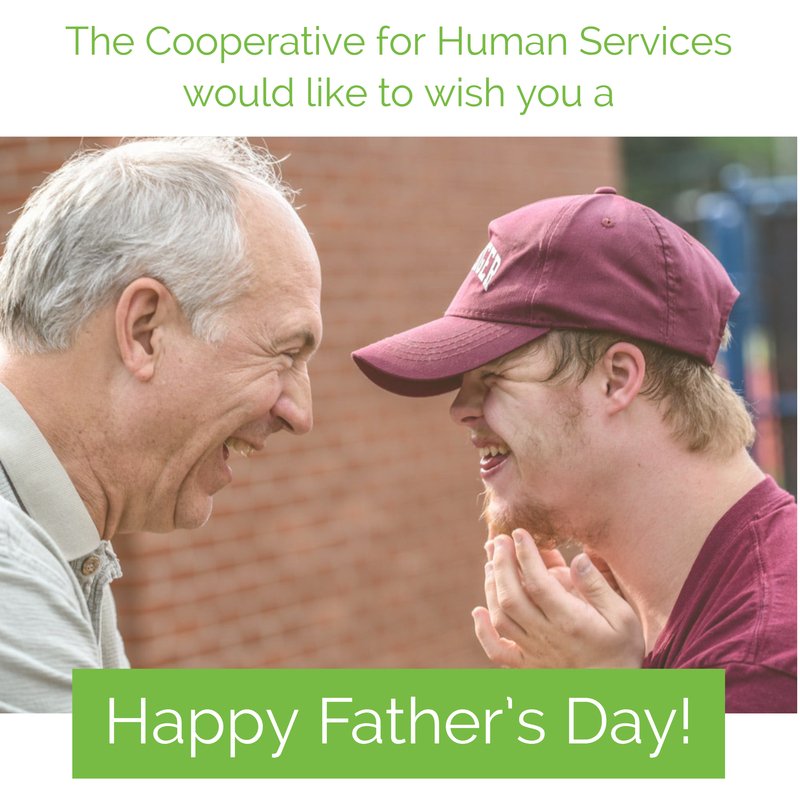 The Cooperative for Human Services would like to wish you a Happy Father’s Day! We are so grateful for all that you do each and every day. Thank you! 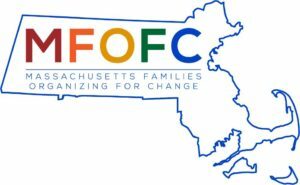 Northeast Region of Massachusetts Families Organizing for Change is delighted to invite primary caregivers of young children (birth to age 10) who have developmental disabilities, chronic illnesses, and/or complex medical needs to apply! Advocacy Bootcamp builds foundational advocacy skills so that participants can empower their children to lead rich, meaningful, and exciting lives. All application materials must be submitted by August 1st, 2018. Space is limited.